Thank you so much to the amazing authors of NOT IN MY WORLD!!!! for nominating me for this award. 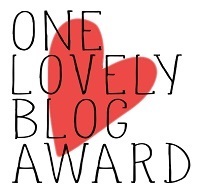 I am so appreciative of their own blog; it is truly an honor to be recognized by them. Please, take a moment to visit their page: www.notinmyworld.org. They are doing fabulous work fighting child abuse, and promoting safe and loving environments for children. What is your main goal for 2016? What country/landmark would you love to see? Would you rather explore deep underwater or outer space? What motivates you to continue producing content? What is your blog’s greatest strength? How would you describe your blog’s style? If you had one word to describe yourself what would it be? What was the best thing that happened to you in 2015? Why do you blog? Because it is a great way to connect with people, share stories and celebrate art. What is the purpose of your blog? The purpose of my blog is to use art to help empower people. Storytelling can be a powerful way to help people feel connected and can be an excellent tool for exploring complex emotions. I feature artists on my blog because they are experienced at self-expression and can be inspirational for those looking to understand themselves better. If you started another blog what would it be about? I think it would be about celebrating the diversity and beauty of the human experience. What is your level of education, just a general answer please. I have an undergrad degree. Do you like animals? Of course! Swimming or Ice skiing? Swimming. I fall down a lot. If you could work with one person of your choice, who would it be? Eminem. He has a gift with words I would love to learn from. How much do you read? I read quite a bit. Mostly non-fiction and classics. Do you believe in love at first sight? No. I believe in attraction at first sight. But love is not an instantaneous emotion. It is a commitment built on trust and shared experiences. What is your worst habit? Checking my phone too often!